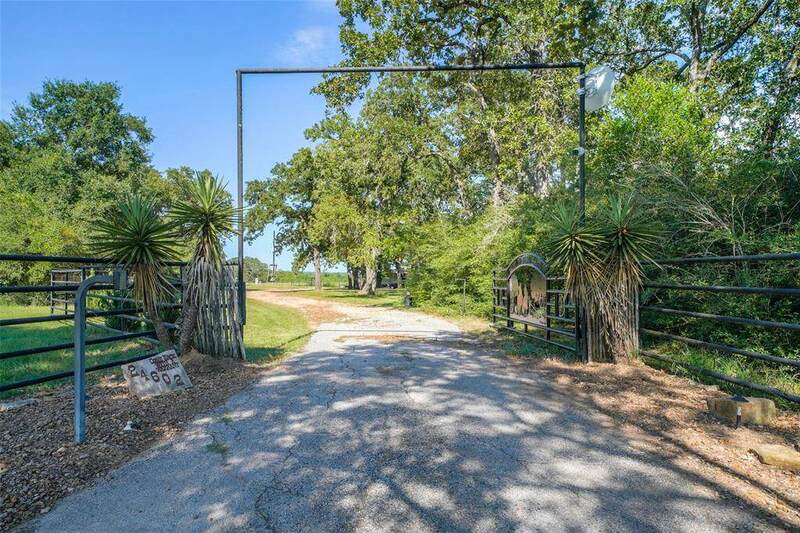 This conveniently located property allows you to live the country lifestyle & still work in the city. 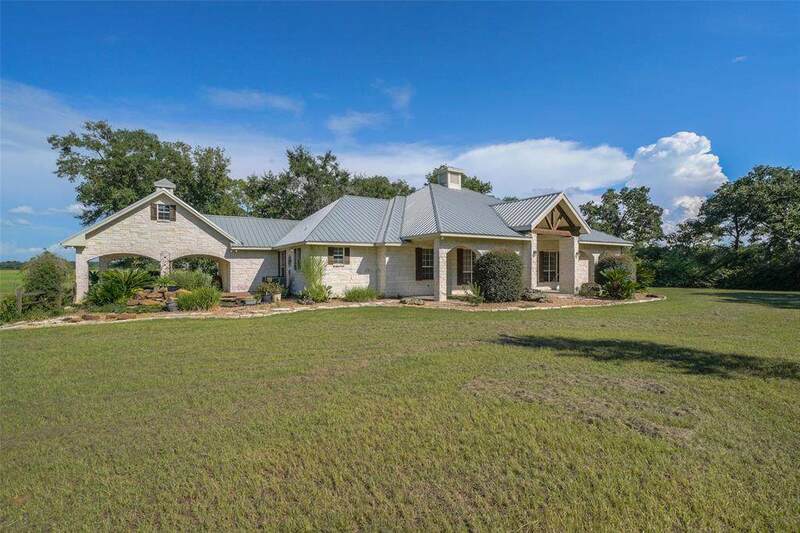 Gorgeous limestone custom home with western rustic charm sits on 30 unrestricted acres with 6 stall barn, additional barn, lighted roping arena, 2 ponds & gazebo. 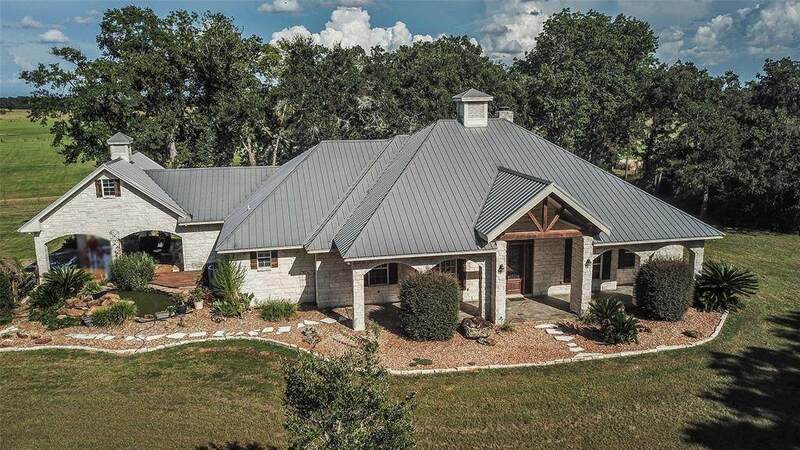 Home features Versailles pattern travertine flooring, vaulted & beamed great room with floor to ceiling limestone fireplace, built-ins coffered ceilings with uplighting and an open floor plan. lots of room for the kids or guests with 4 bedrooms, 3 full baths & a half bath. Island Kitchen has Granite counters, breakfast bar, double sinks, custom Ash cabinets, Stainless appliances & Fridge stays. Spacious master suite & bath that features a whirlpool tub & separate shower, double sinks, built-in shelves & cabinets and huge walk-in closet. Barn has electricity & water. 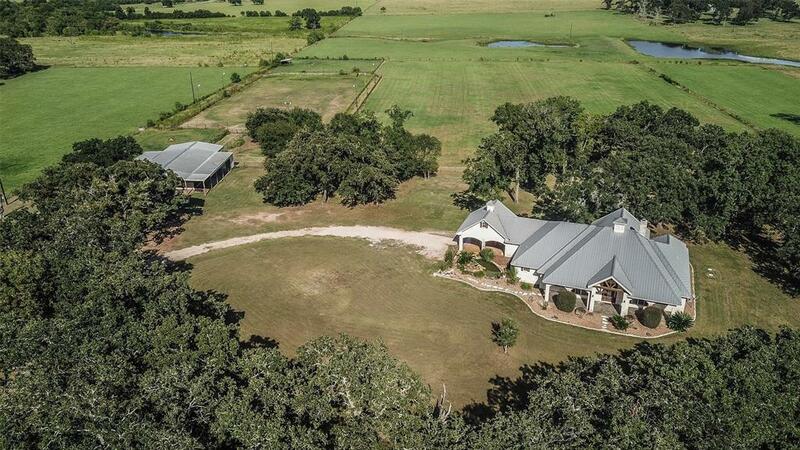 AGRICULTURE EXEMPTIONS AND NO FLOOD PLAIN Don't miss out on this amazing property!